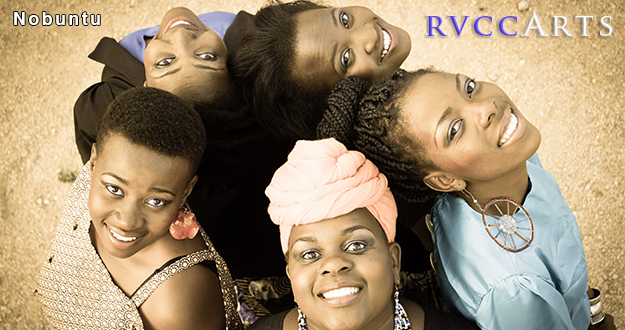 This powerful female a cappella quintet from Zimbabwe has drawn international acclaim for its inventive performances that range from traditional Zimbabwean songs to afro jazz to gospel. The ensemble performs with pure voices, augmented by minimalistic percussion, traditional instruments and authentic dance movements. Nobuntu represents a new generation of young women singers who celebrate and preserve their culture, beauty and heritage through art. Their voices, energy and breathtaking performances on stage provide an experience that inspires and touches people of all cultures and walks of life. This engagement of Nobuntu is funded through the Mid Atlantic Tours program of Mid Atlantic Arts Foundation with support from the National Endowment for the Arts.